There are two types of people in New England: those who cling to summer and go kicking and screaming into the colder, darker months and those who for whom summer’s end awakens the soul. I am in the latter group. Handan? Probably not so much, since she hails from the warm Aegean coast of Western Turkey. 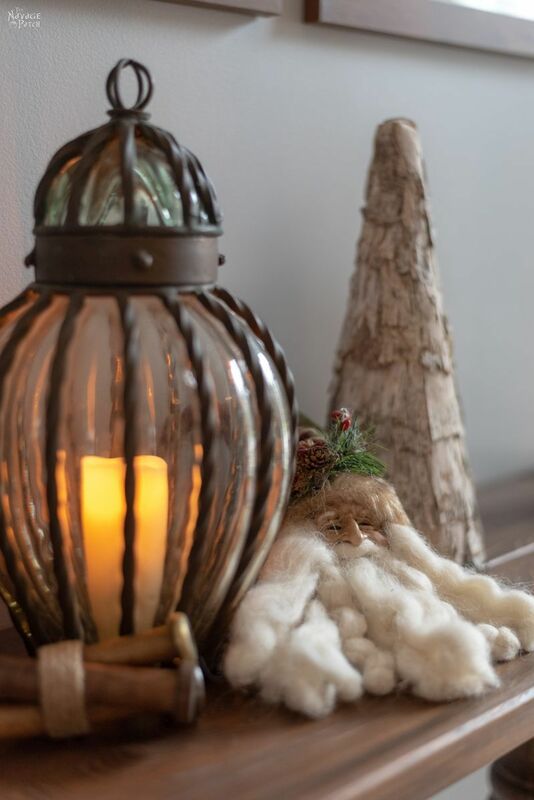 But Christmas makes the cold easier for her to tolerate, because it gives us an excuse not only to decorate for the holiday, but to fill the house with light. So let the sun set early, because we have a fireplace, and we have light. 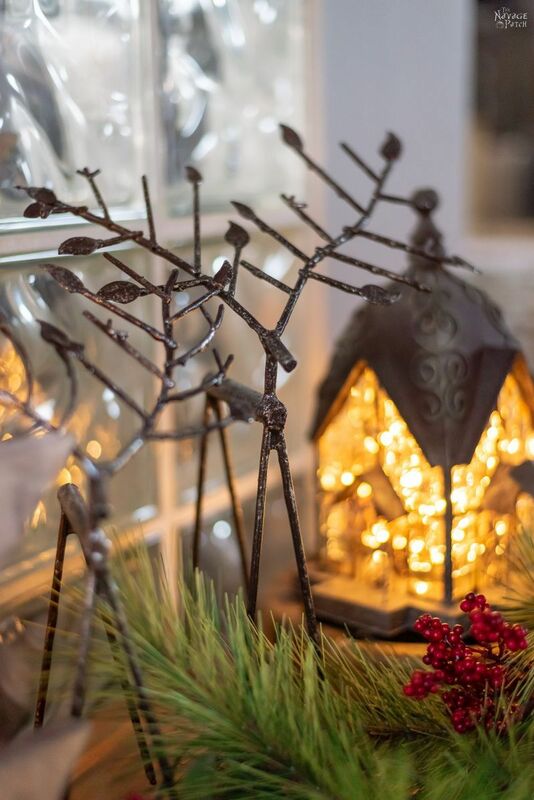 We have warmth and coziness within ourselves, and that is how we decorate for the season. Join us now as we take a little peak at The Navage Patch dressed up for Christmas. We’ve included source lists for each photo in the caption. 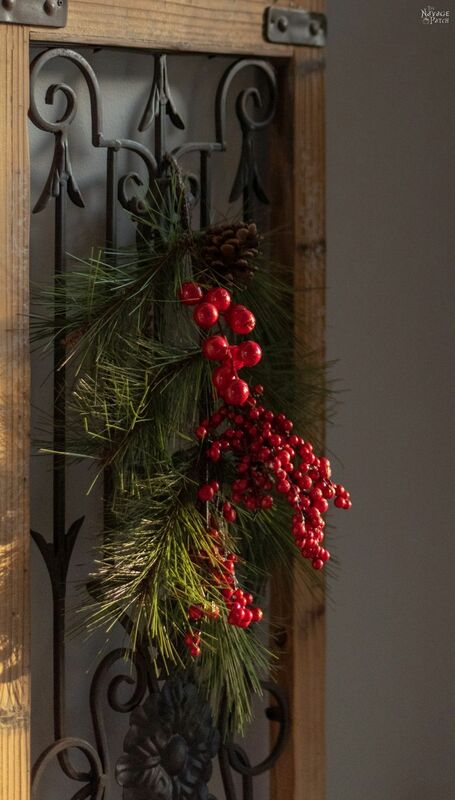 We have a covered front portico, and it’s a perfect place to stage a festive welcome. This scene is a mixture of old and new, of found, bought and crafted. We made those big gift boxes after seeing them for sale in the Grandin Road catalog for more money than we were willing to spend! The sled, the ice skates and the dolls were all found at Put & Take. We recently bought a new console table for the entry from World Market, and it’s perfect for the space. 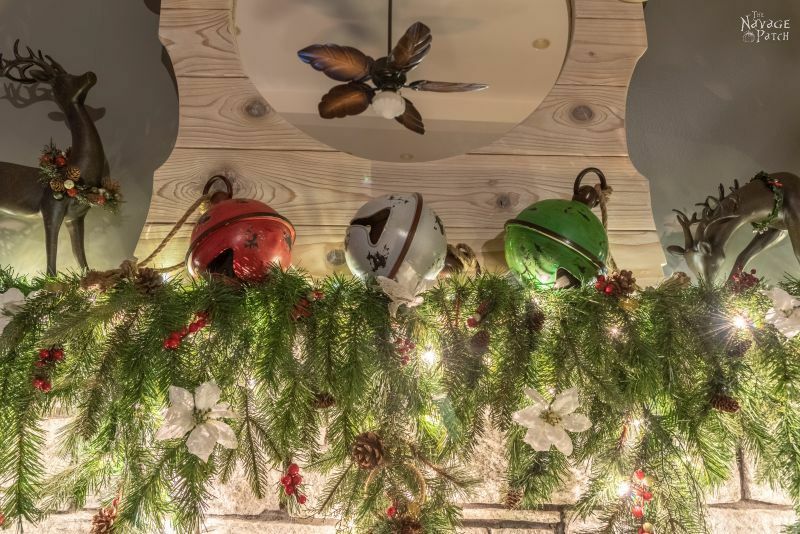 We didn’t want to overcrowd it, so we kept the decorations to a minimum. 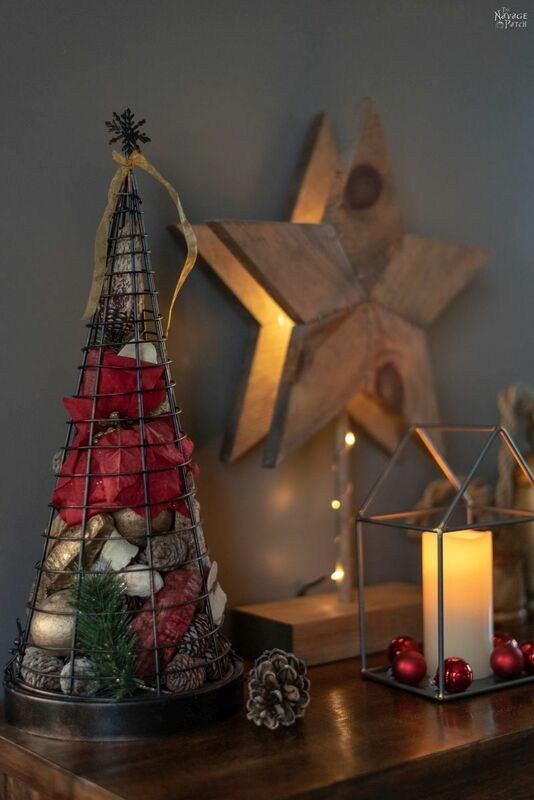 Handan made these decorations from birch bark we scavenged in the forest, but you can always find birch bark on Amazon. 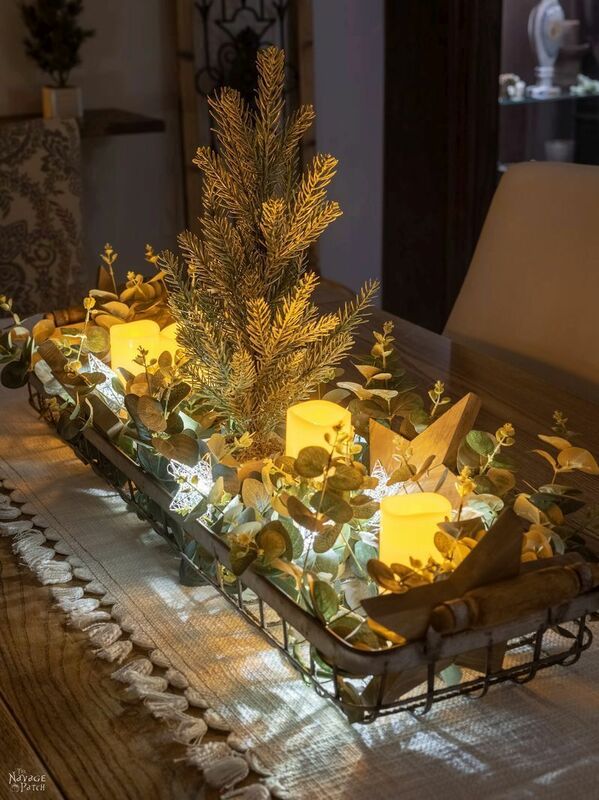 These LED flickering candles are some of the best we’ve found. 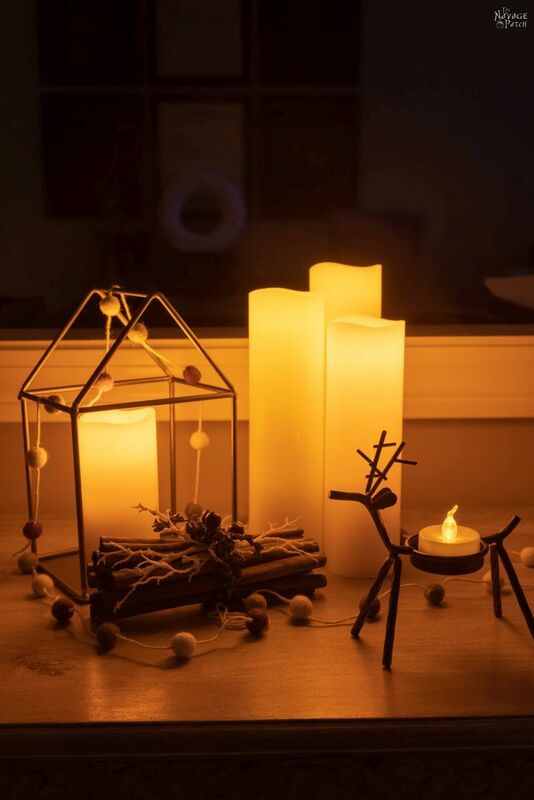 They give a beautiful warm light, they flicker realistically, and they can be programmed with the included remote control. 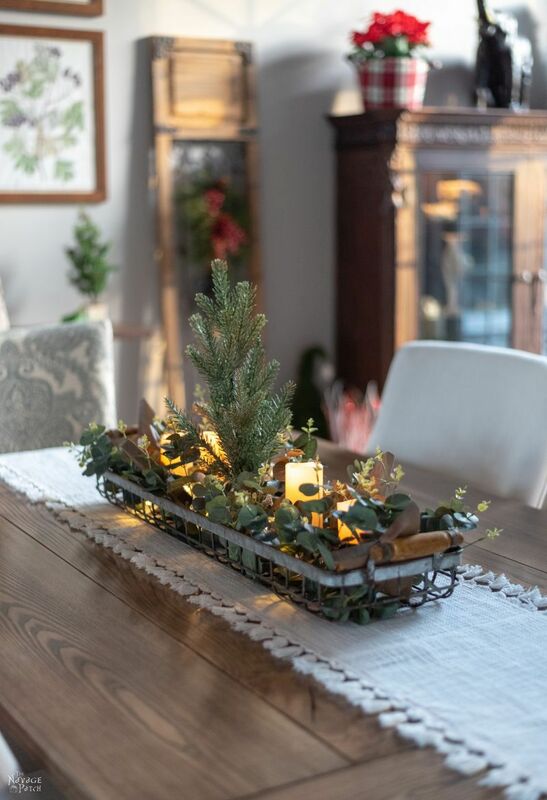 In our dining room, we put a small alpine tree that Handan made a few years back from an old faux Christmas tree that someone had left at Put & Take. There’s another console in the dining room – a farmhouse style console that I built earlier in the year. We still have some of Handan’s beautiful spring botanical printables hanging on the wall. There are 6 of them there, perfectly lined up in a gallery wall. 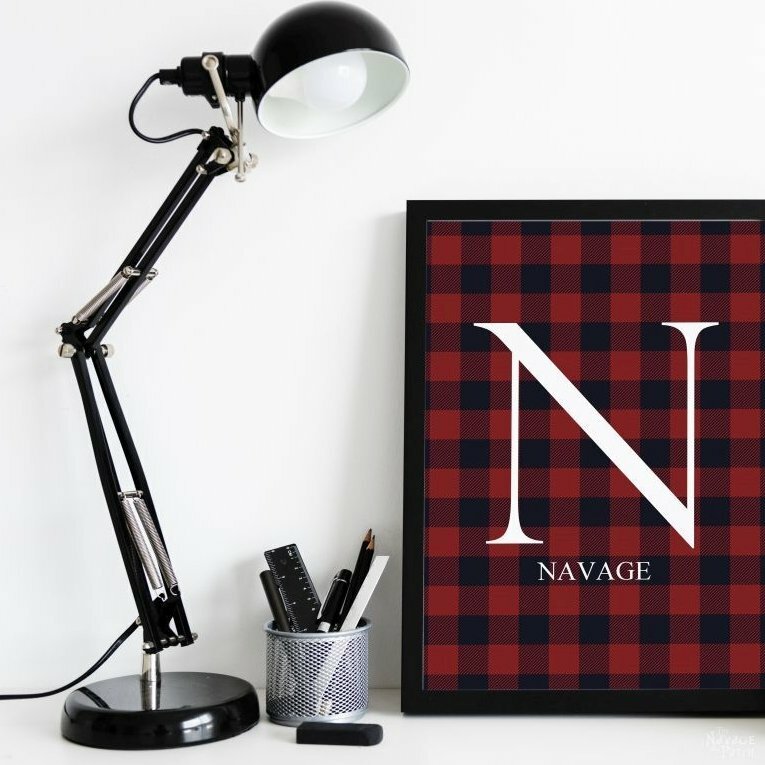 Okay, so you may be wondering why we’re still displaying our spring printables with Christmas creeping up. The answer is in the mail. Seriously! We’re waiting for Handan’s new Christmas printables to be delivered so we can swap them out. 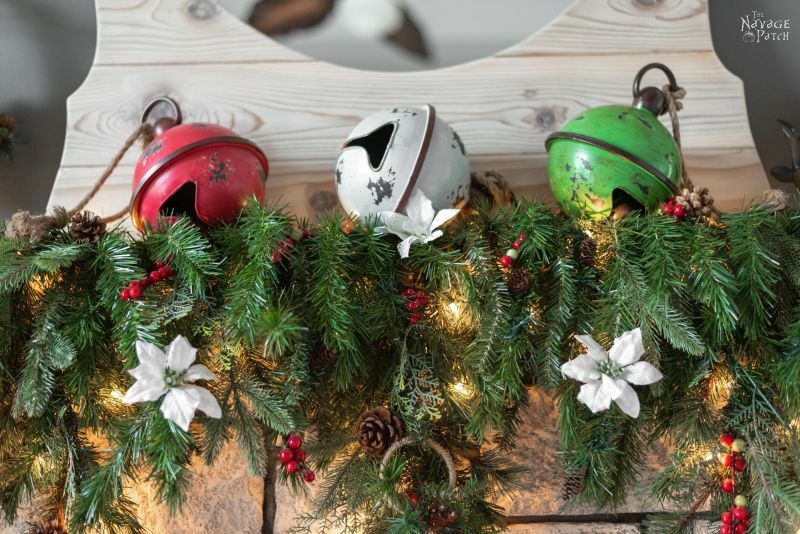 You can’t decorate for Christmas without green and red! We found this lantern at a tag sale a few years ago. 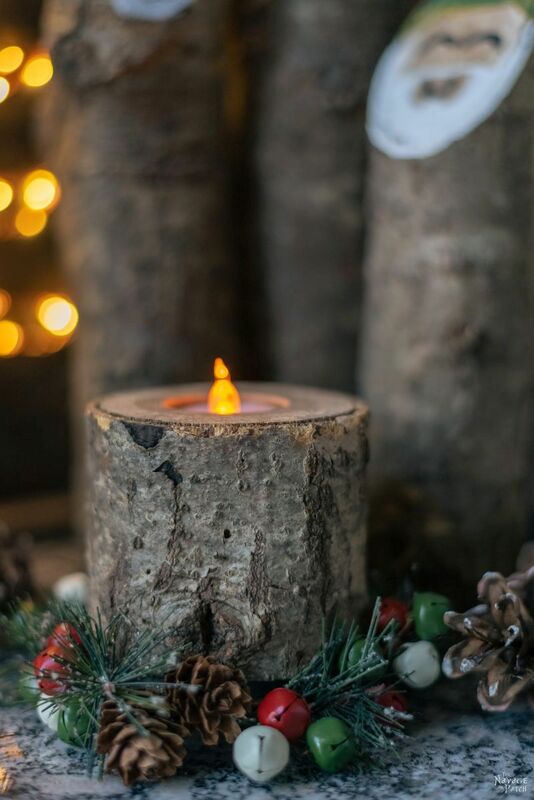 It’s perfect for a flickering LED candle. 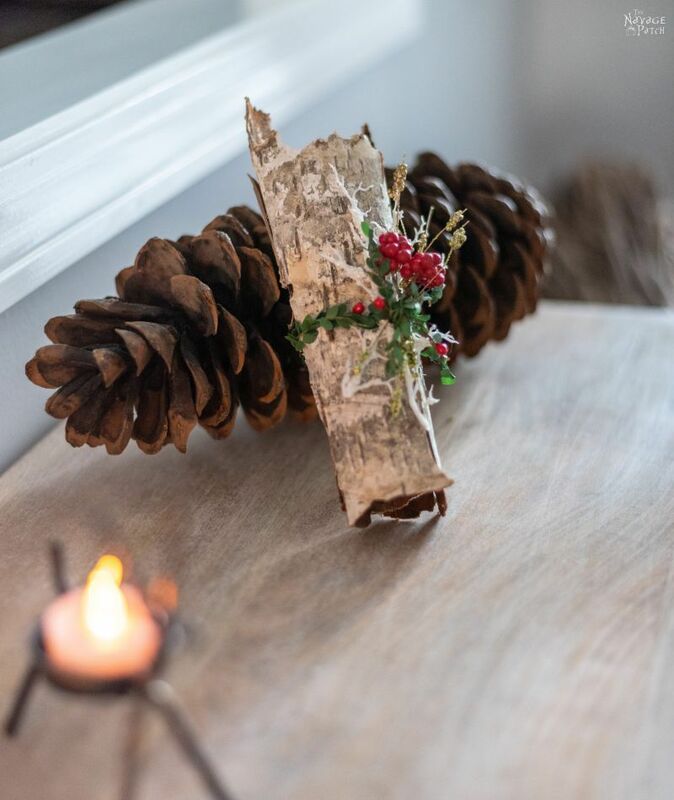 It’s so much more fun to decorate our farmhouse dining table than our old circular table! 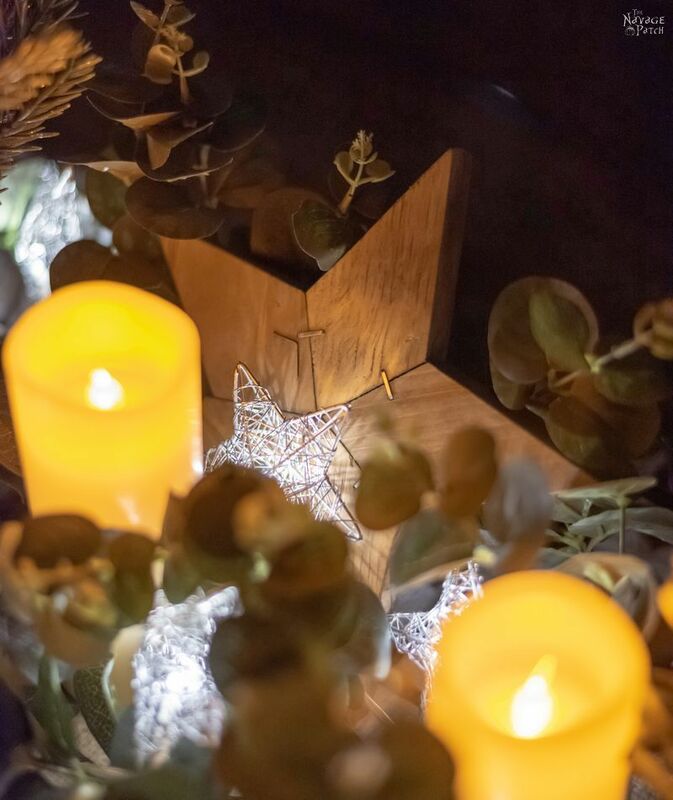 Handan made the centerpiece using some of our DIY rustic wood stars, LED candles and stars and a faux eucalyptus garland. 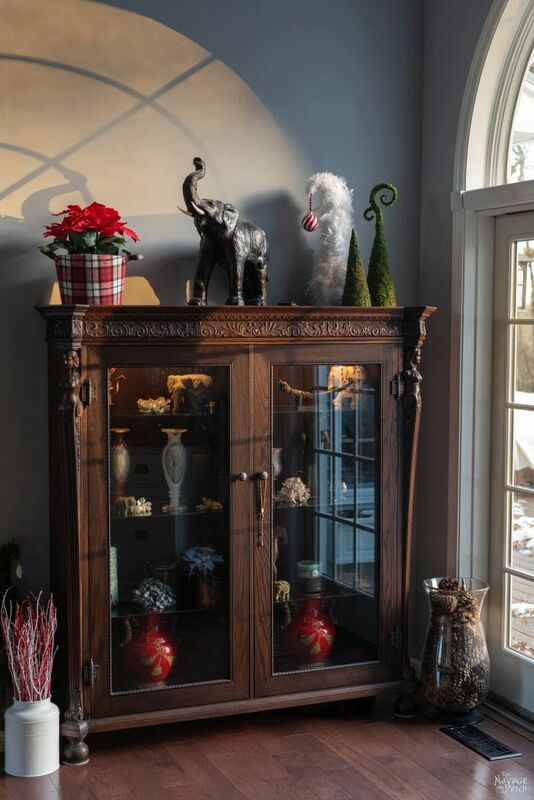 Our restored antique china cabinet hosts a few DIY whimsical Christmas trees and a faux poinsettia. The real ones are nice and all, but honestly, the faux look just as good, and they last a heck of a lot longer! Ahh, that golden late afternoon light! 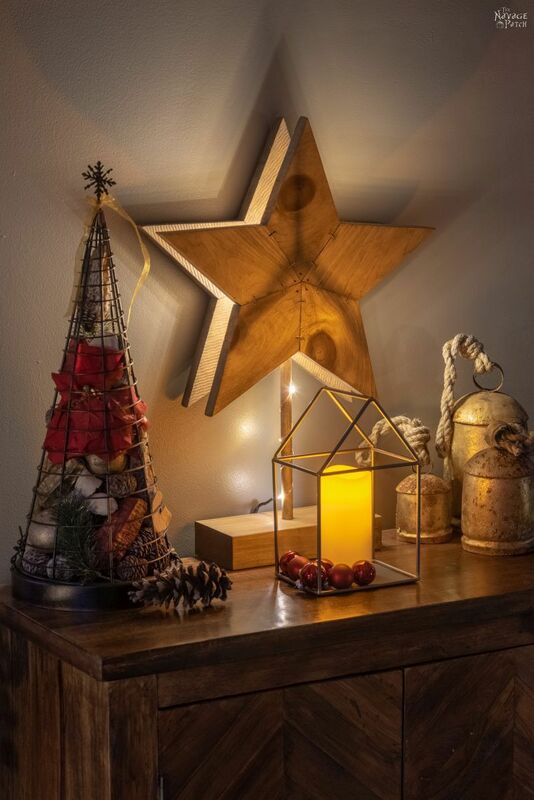 Our biggest DIY rustic wood star light stands proudly in front of a decorative panel on the vintage buffet table we made-over earlier in the year. This little scene sits atop a small cabinet behind my seat at the dining table. Our fireplace and mantel are the focal point of the living room. There’s nothing better than a winter fire to take the chill out of our bones. 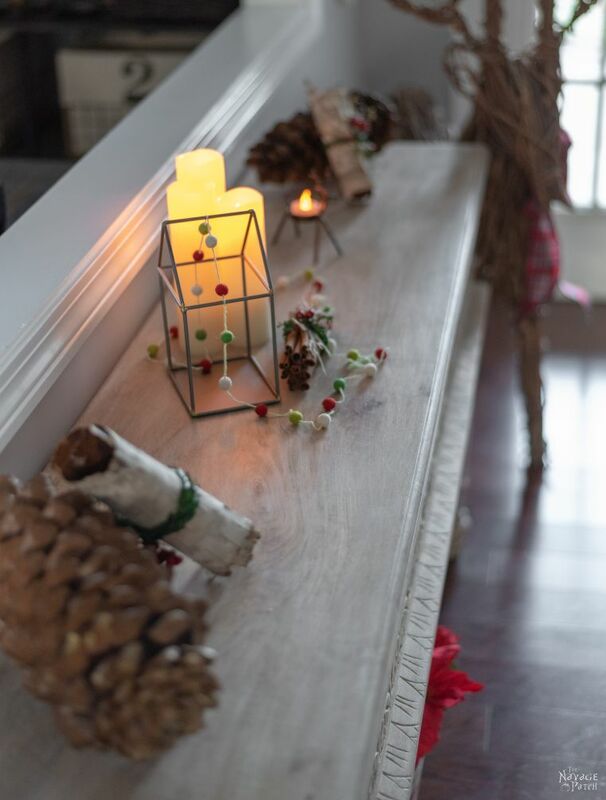 This year, we’ve flanked the fireplace with our DIY lighted Christmas signs. 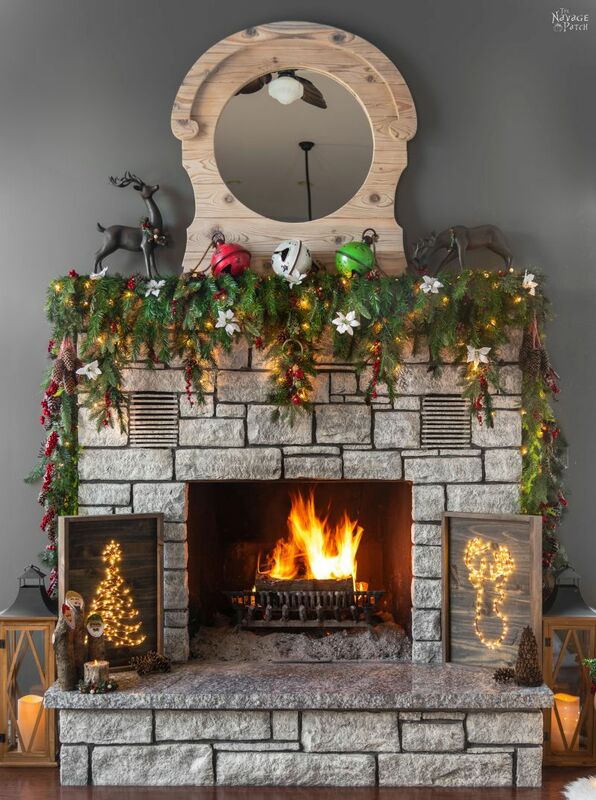 The mantel only takes us 5 minutes to set up each year. Too good to be true? 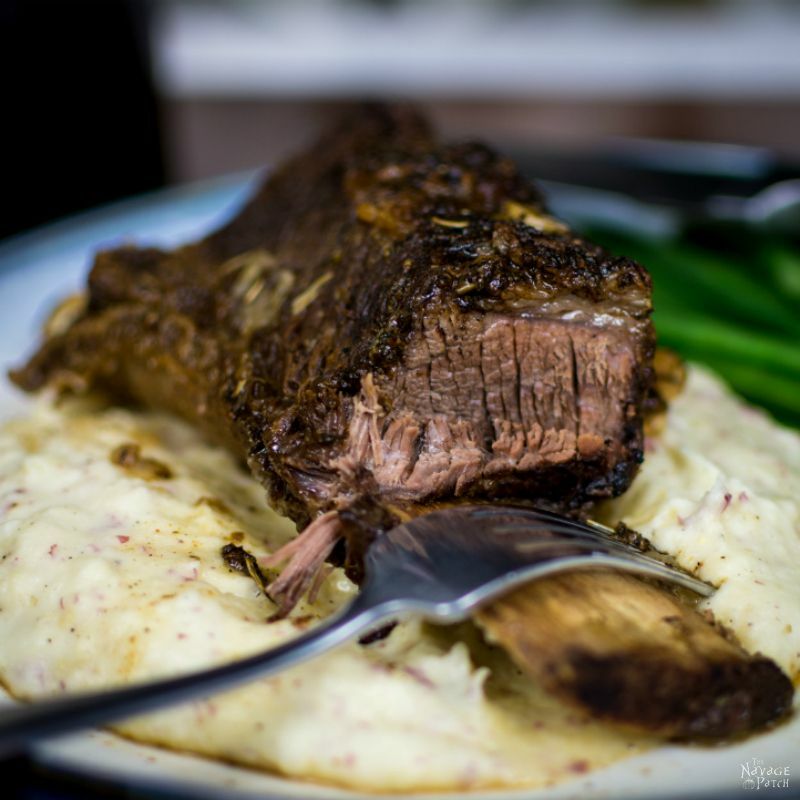 Check out how we do it here! 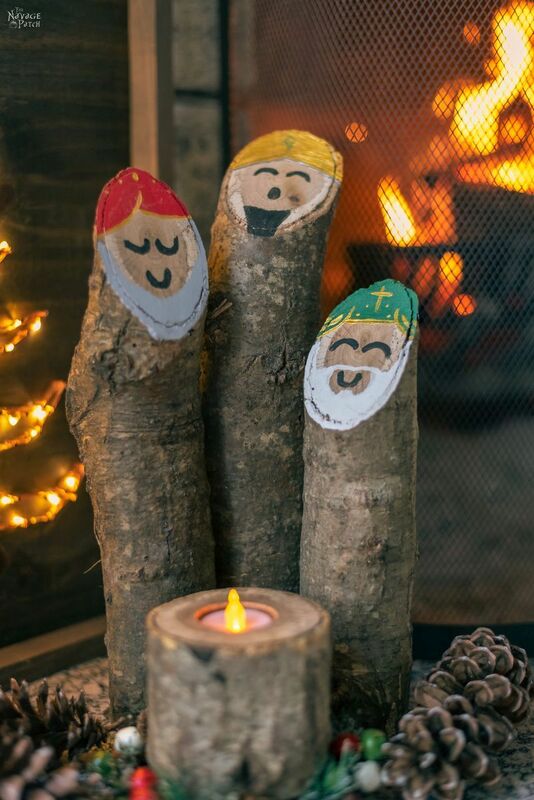 It wouldn’t be Christmas without my simple DIY Nativity scene. I love these guys! 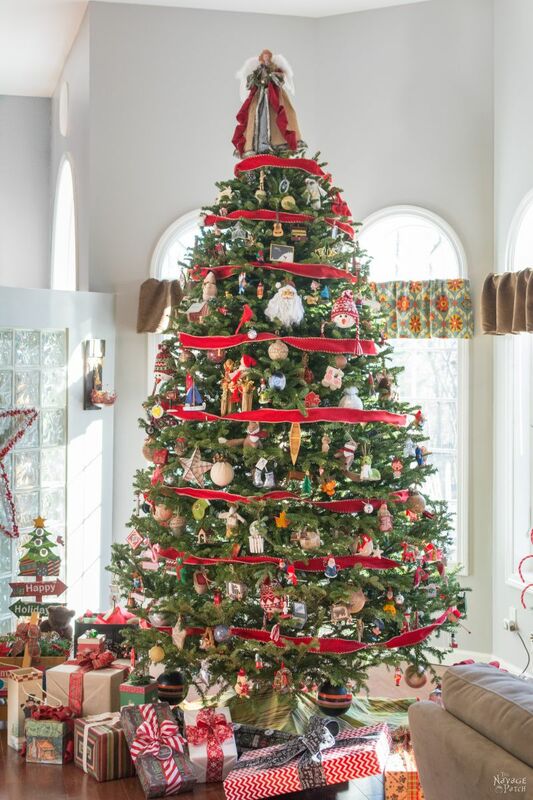 This year, we’re skipping a big Christmas tree, as time and space constraints demand a more low-key approach. But this was our tree two years ago! 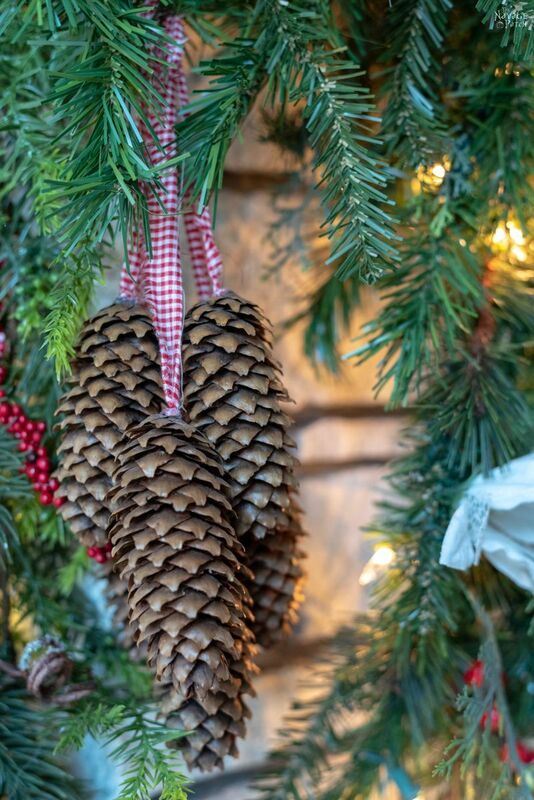 Handan is a master at trimming a Christmas tree – and I’m talking about both meanings of the word “trimming!” Check out how she does it here! 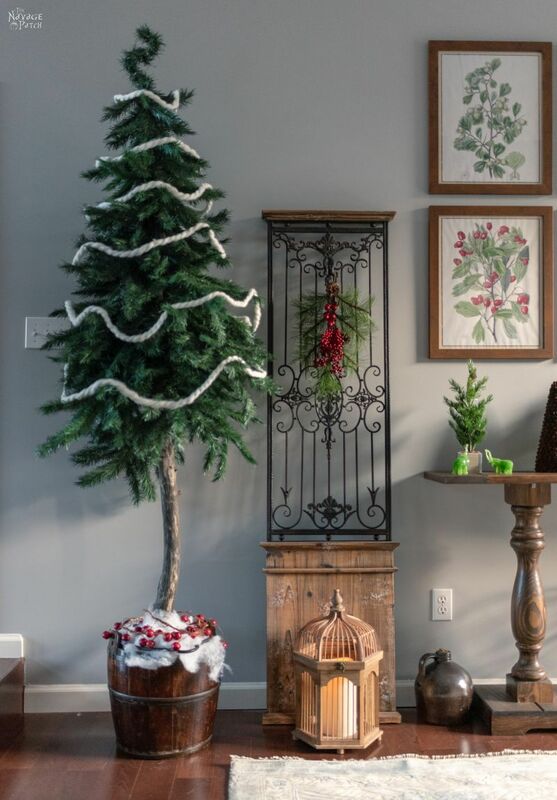 Next year we’ll again have a tree, so we have a whole year to plan where to put it and how to decorate it! Ahhh, sunset. 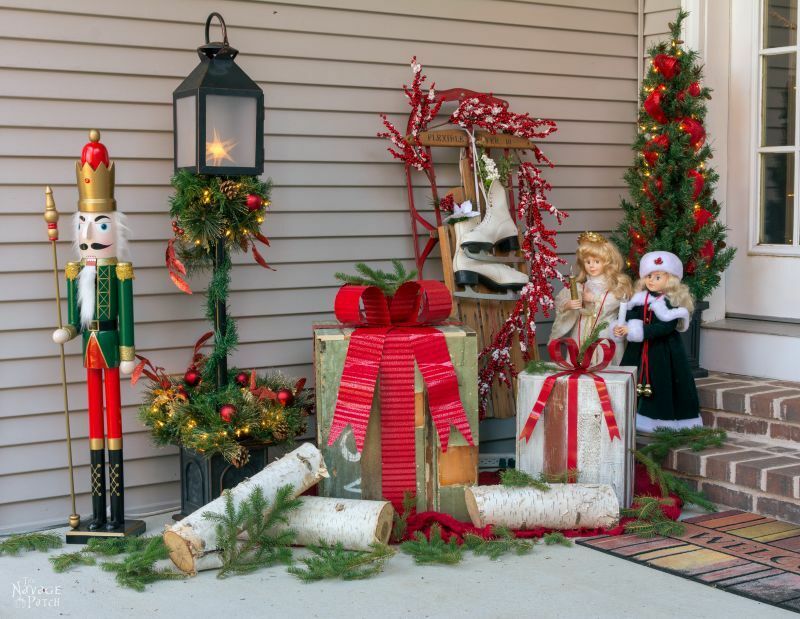 It’s when our house and yard come alive, no matter the season! 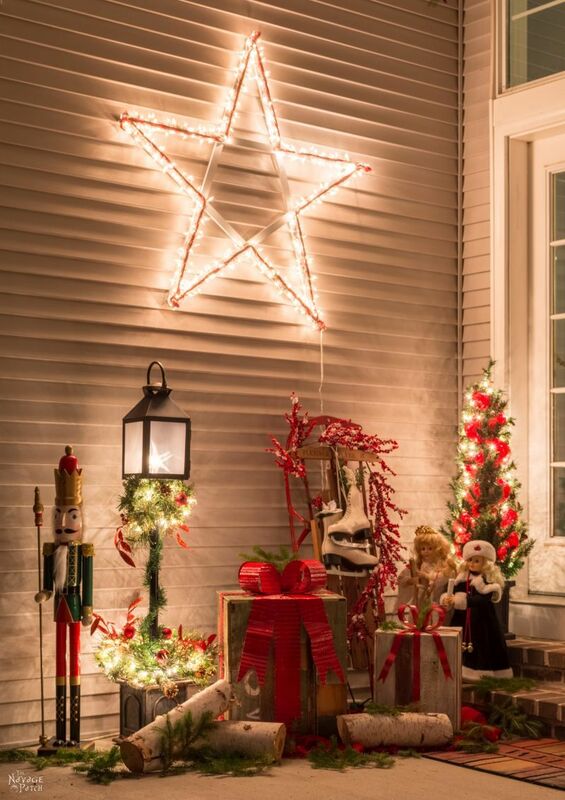 Our DIY lighted Christmas stars help to keep our entrance warm and bright. 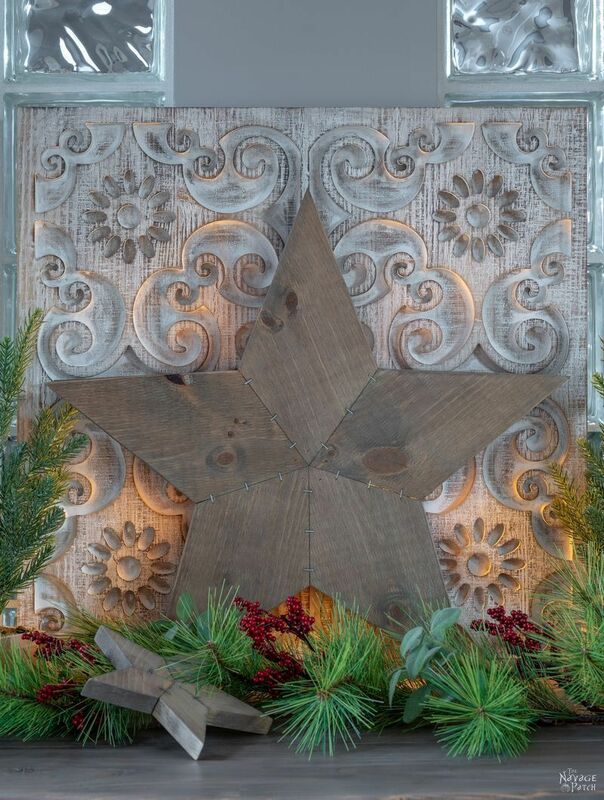 The cool white stars balance the warm pillar candles at night. 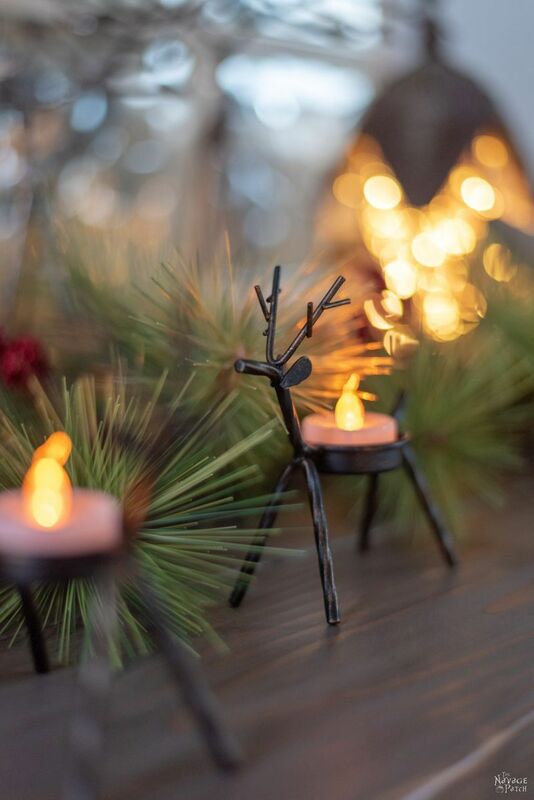 These little reindeer tealight holders are perfect for decorating a scene or the dining table. 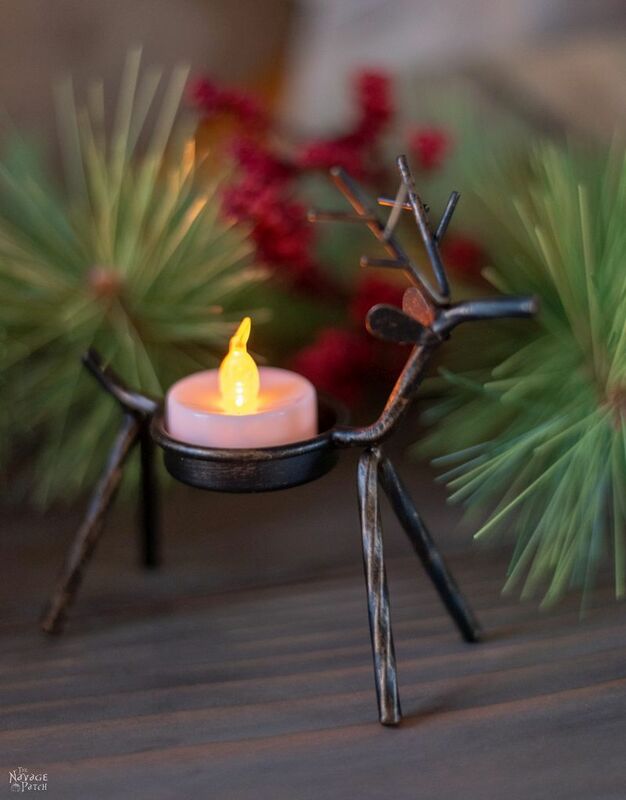 These rustic metal reindeer are the best! 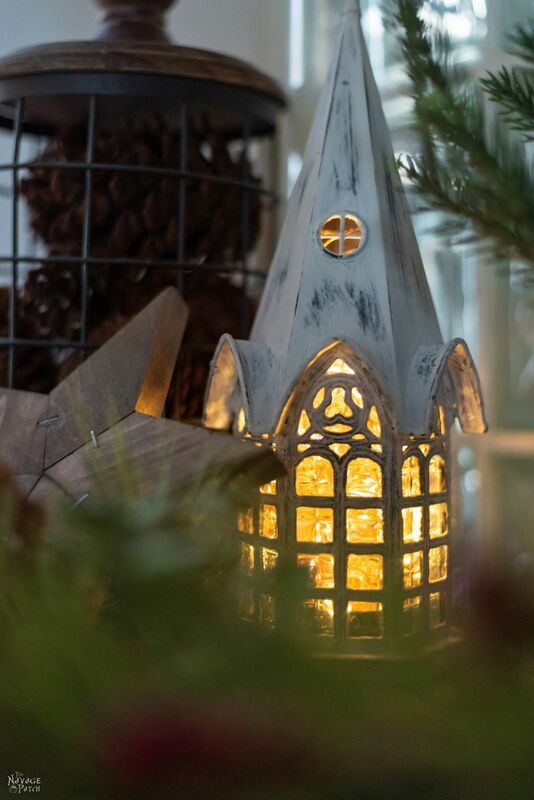 Fire and light – it’s what the season is all about! 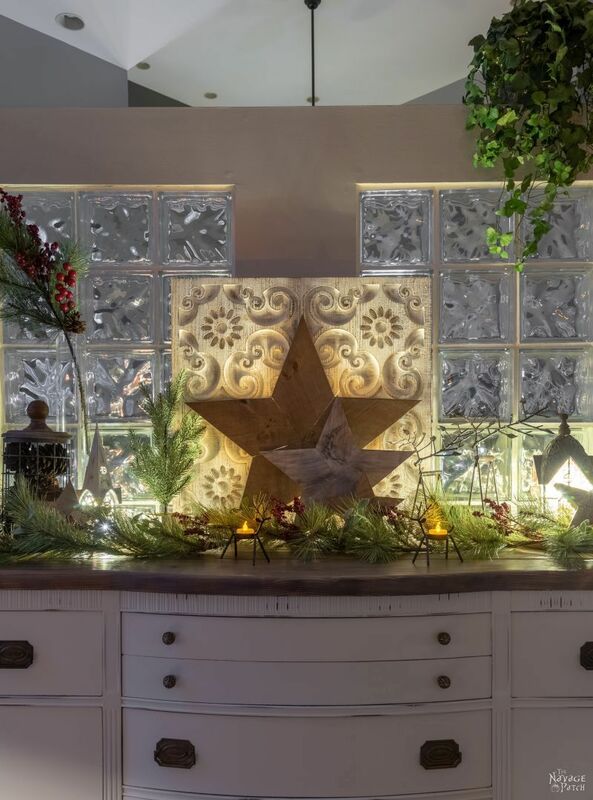 We love the starry lights on the faux sheepskin rug. It doesn’t get much simpler than that! 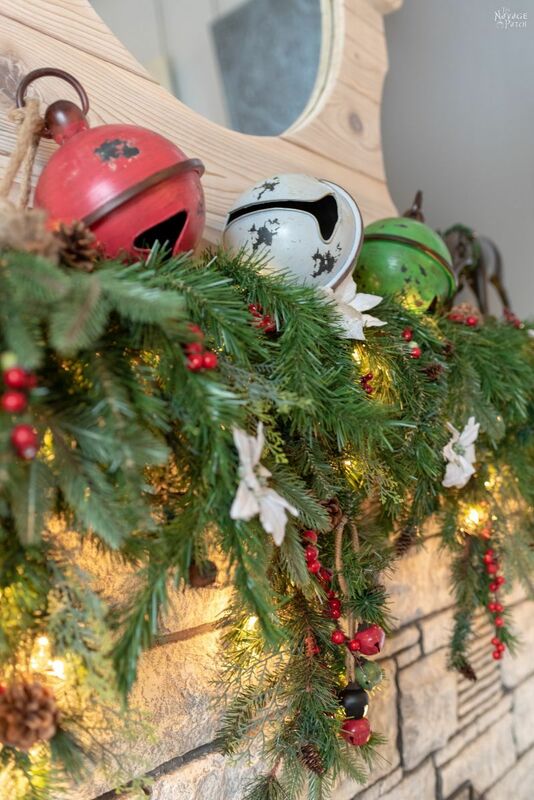 Handan and I hope you enjoyed our Very Merry Christmas Home Tour, and we wish you and your loved ones a Merry Christmas, a Happy Holiday Season and a Prosperous and Healthy New Year! 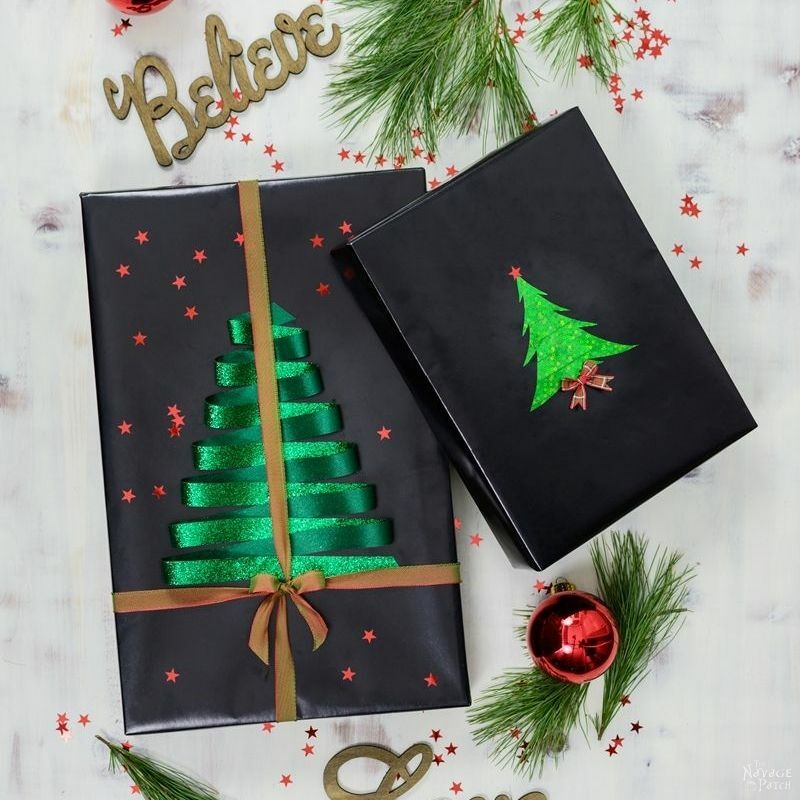 Ready for more Christmas inspiration? 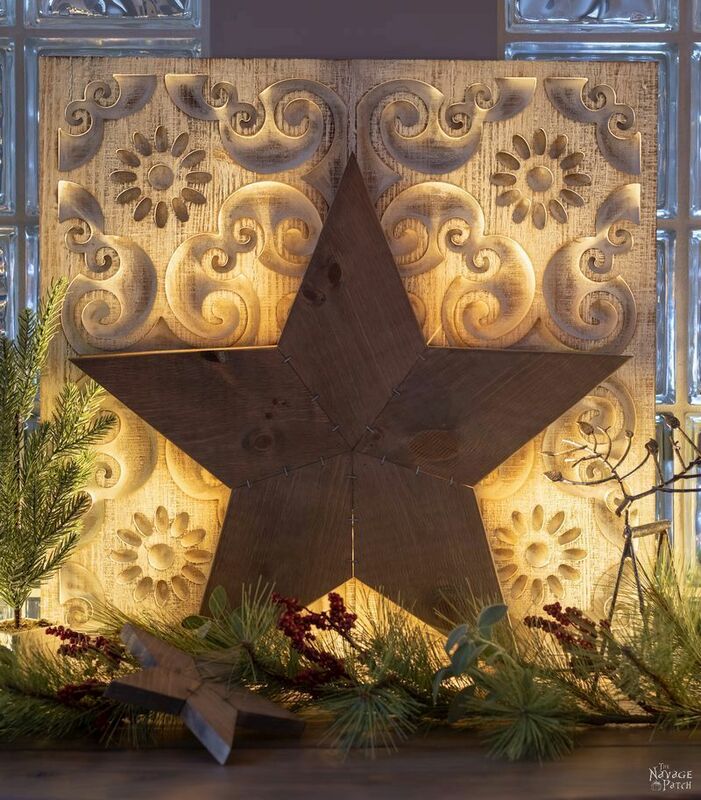 Then click on over to our friends’ blogs and see how they’re decorating this season! 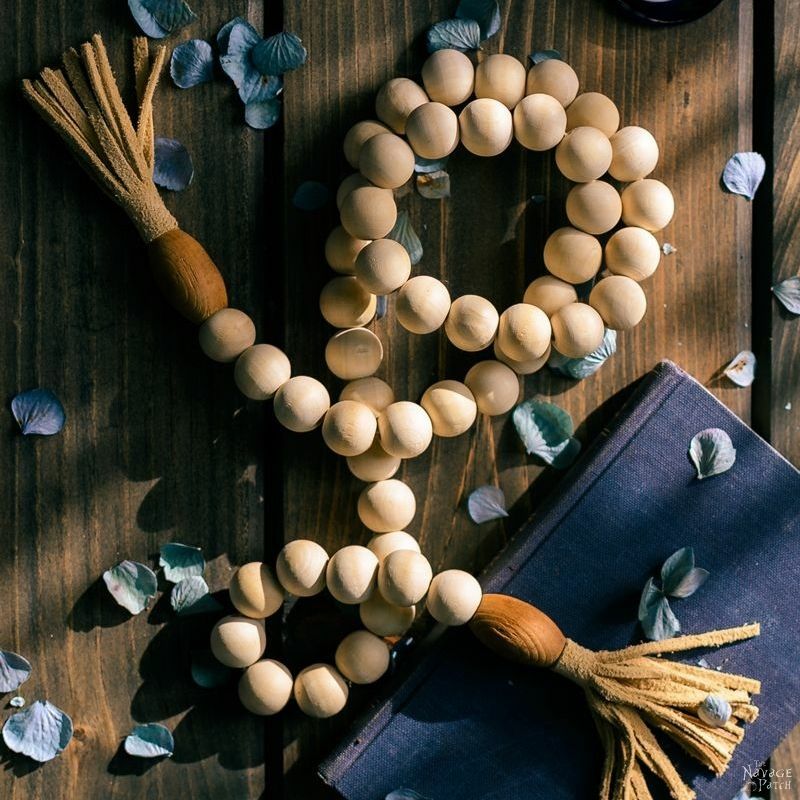 We’d like to give a special thanks to Carrie at Lovely Etc., for organizing this awesome blog hop! Ha ha you are brave ,Tony says you would soon send me back. Everything looks so cozy and beautiful! 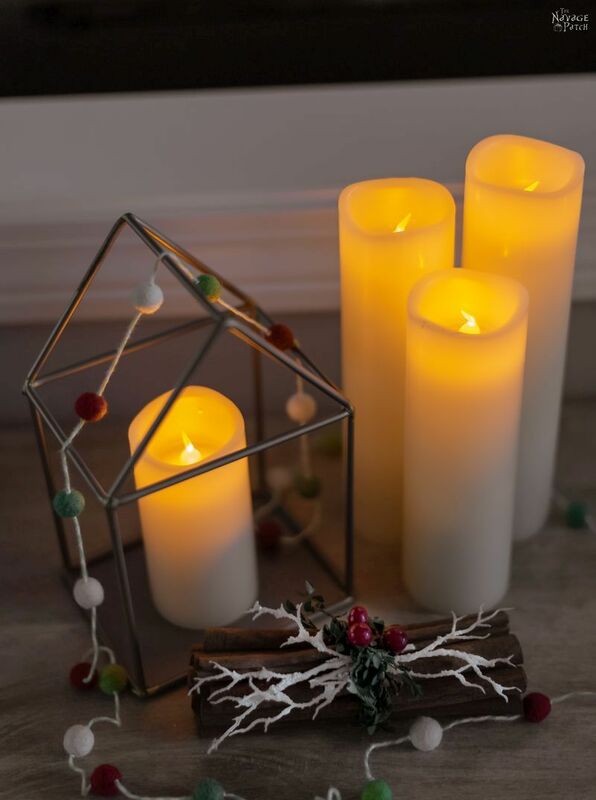 I love all of the beautiful candles and twinkle lights especially – perfect for breaking up the winter gloom. And I am always jealous of the great stuff you find at the put and take! If only we had one here. Sooooo warm and cozy. Just great!!! I love your use of light, it makes such a huge difference! Since you are already adopting a little Welsh girl I’ll just ask that you come to my house and do the decorating for me! Sure, we’ll be right up! thank you, Chris! So your frosty must be the cause of the weird glow I see on the southwestern horizon each December night! 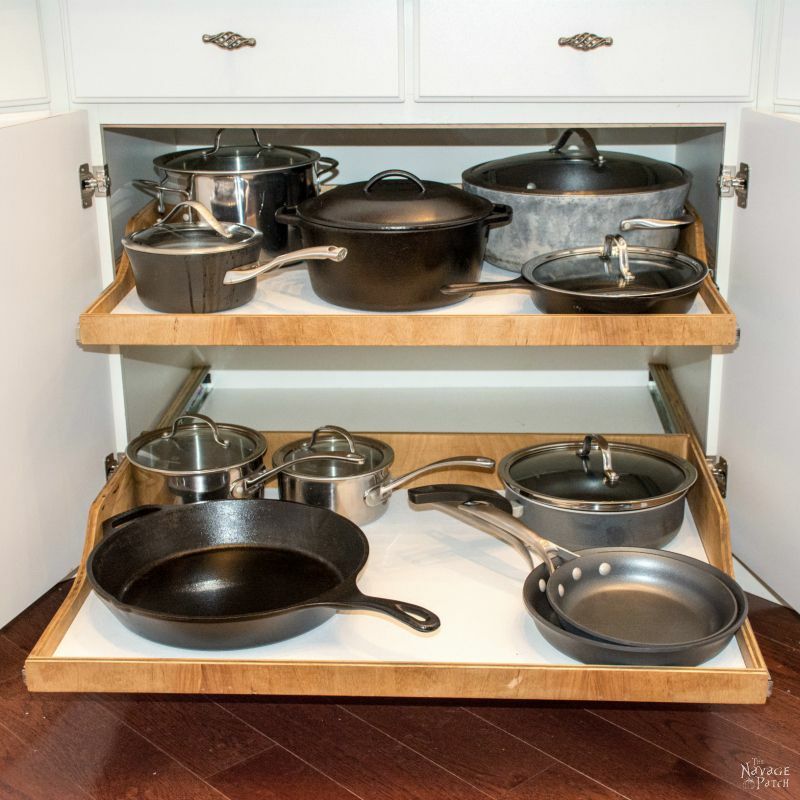 What a beautiful tour of your home! Everything is so creative,warm, & cozy.I loved every part of your home. I better get busy decorating my own home before Christmas sneaks up on me. Merry Christmas & Happy Holidays to you as well. Thank you, Michele! Handan and wish you a Merry Christmas as well! I just want to grab a martini, sit in your living room and listen to Christmas music by the fire. It’s truly lovely! All I’ve done is think about Christmas 🤪. Guess I need to get my merry on! A very Merry Christmas to you both! It’s what I do every night! Merry Christmas to you, Susan! 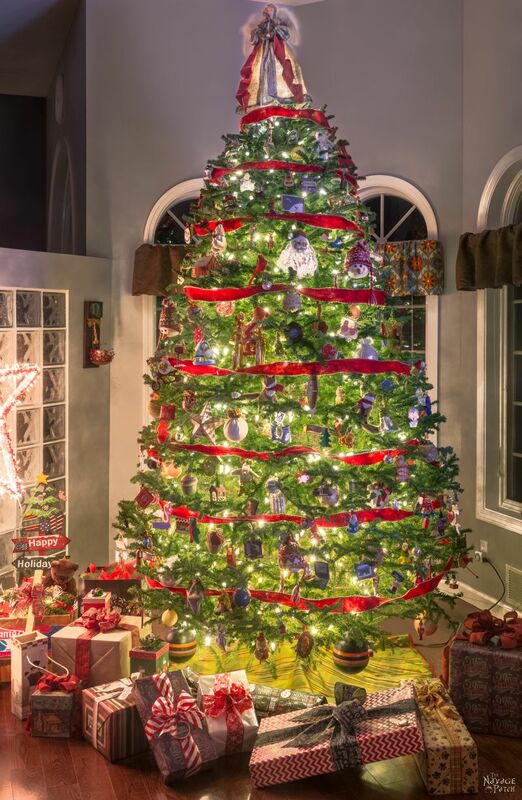 What a beautiful tree, Your home looks so cozy & magical all lit up! Whimsical and wonderful! I love the elegant simplicity of the decor and the vintage charm of the lighting choices. As always a joy to read and a feast for the frustrated inner amateur “stringing up the lights” interior designer in all of us. 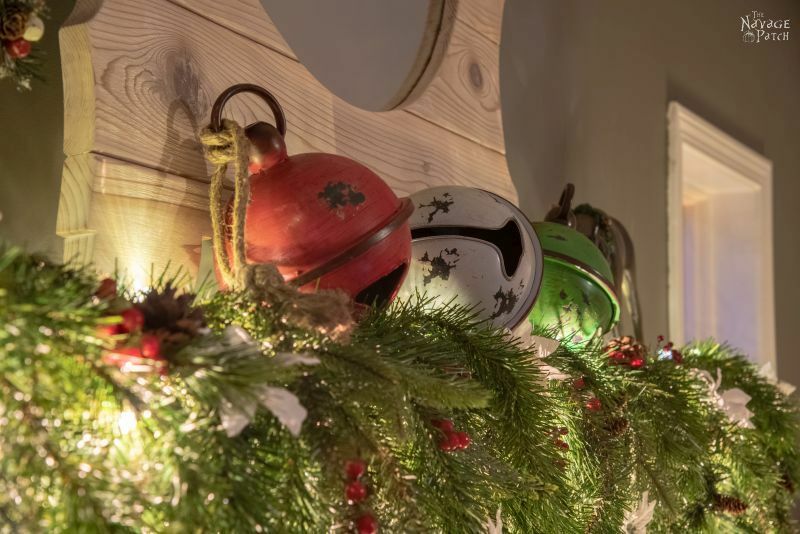 May the season continue to bring you all joy and good company! Gina D.
Thank you, Gina! Lighting is definitely our thing. 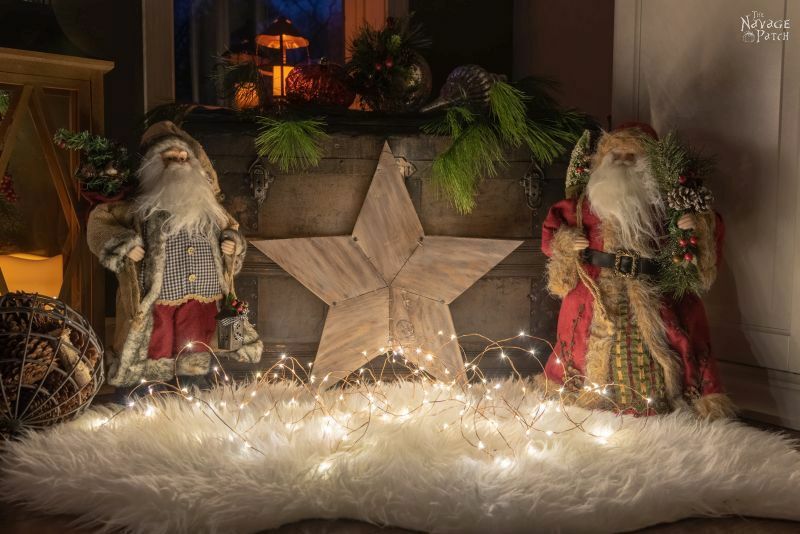 As Handan says, “Lights are my glitter!” We hope you, Angelo and the girls have a wonderful Christmas! Everything looks so magical, my friend. 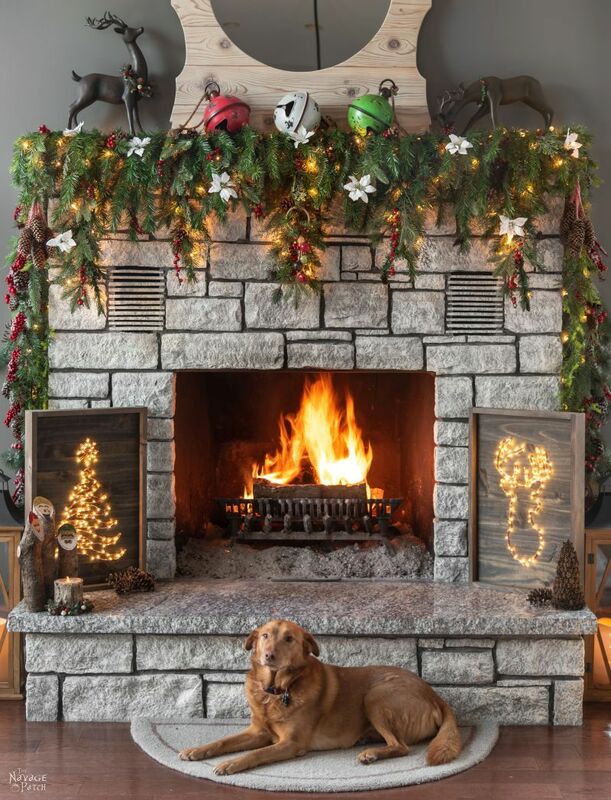 Your fireplace is absolutely stunning. Beautiful tour! 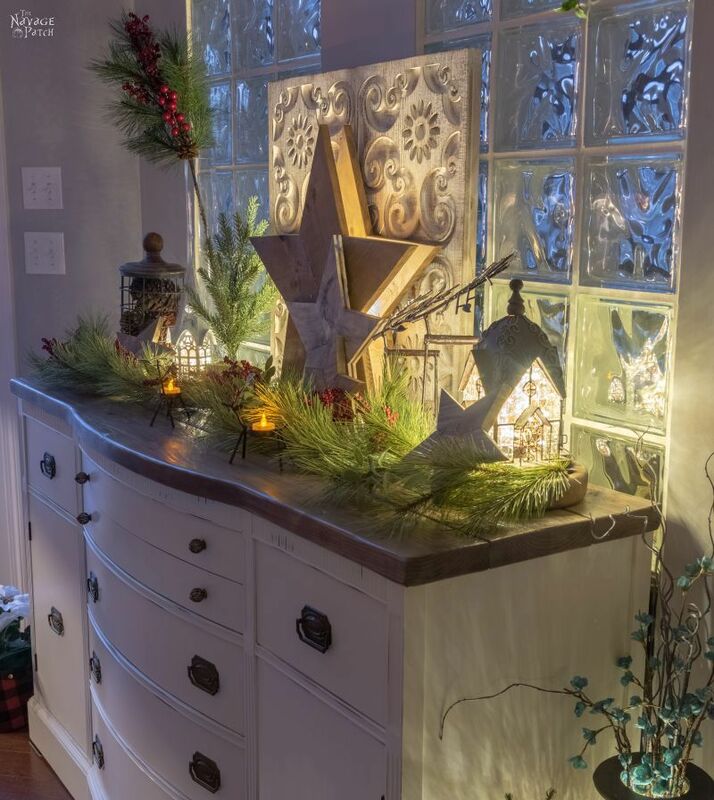 Lovely home tour…full of beauty and creativity! Thank you for all of the fun projects you share! Beautifully done Handan and Greg. Those lit stars are fantastic. 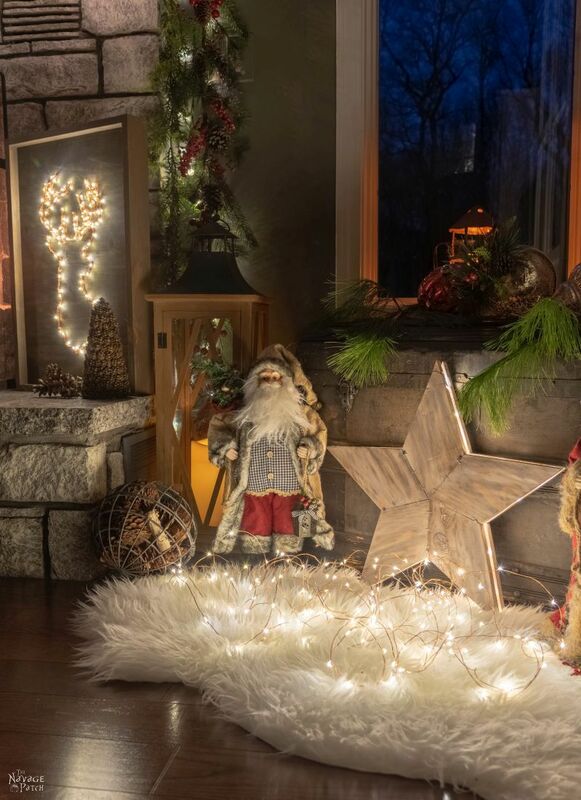 It’s all about the lighting in your home this year. 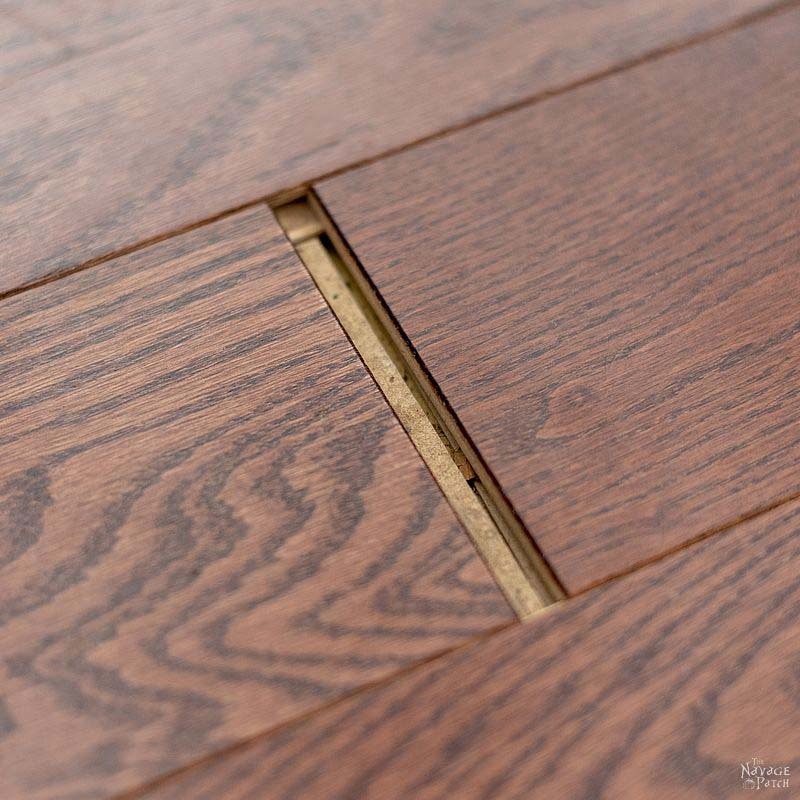 It creates such a warm and soft atmosphere. 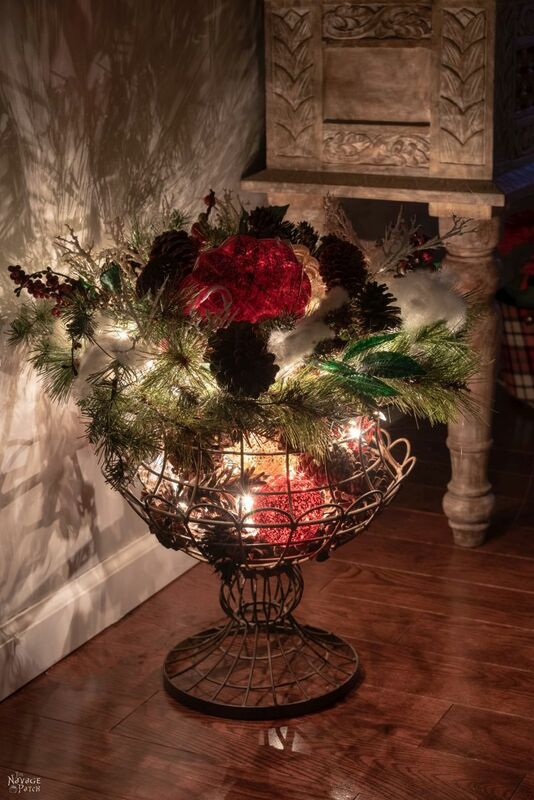 So many amazing Christmas vignettes! 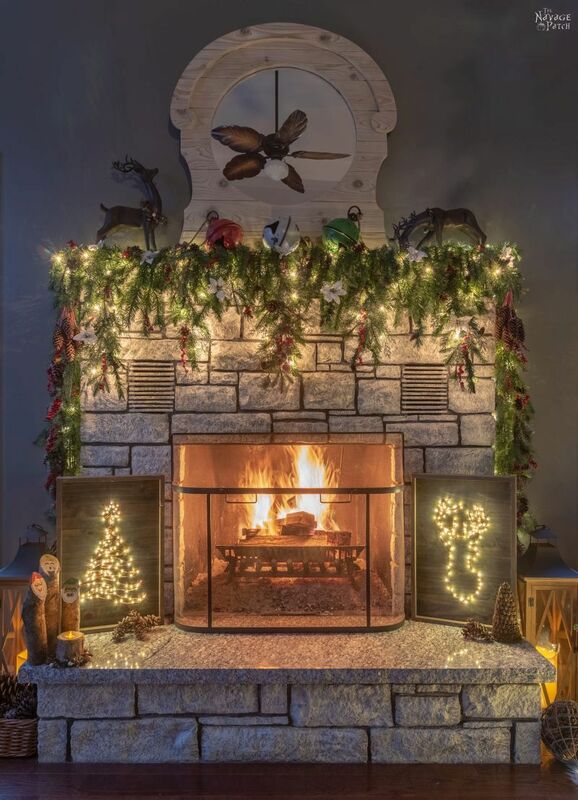 Your holiday fireplace is amazing! And I love your front porch and seeing all of the lights at night! 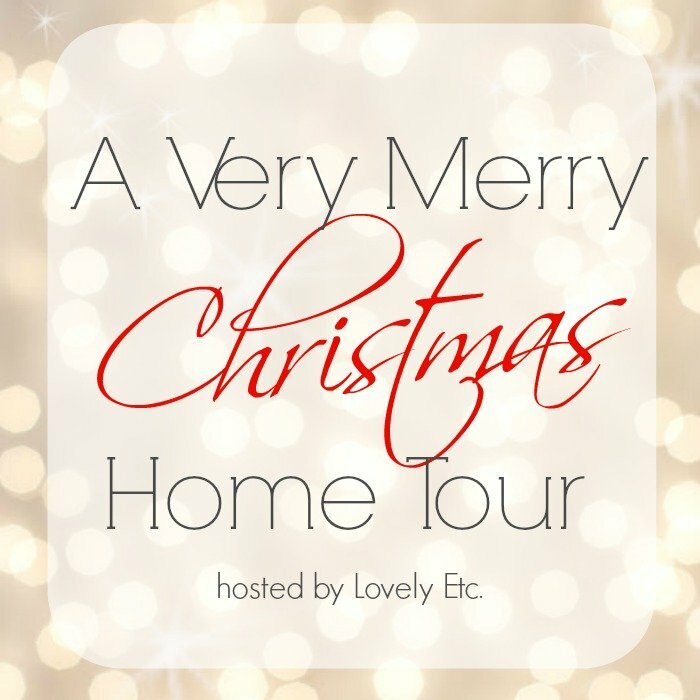 Beautiful home tour. 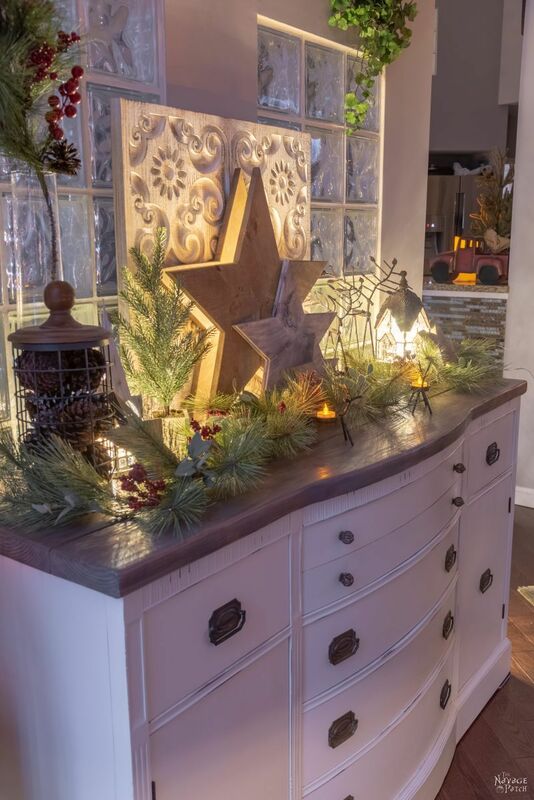 Wow, that fireplace mantel is seriously stunning! And your home at night is so pretty and warm! I’ve been wanting to get some of the LED candles! I love the set you have. Also, I adore your fireplace decorations! So gorgeous! Merry Christmas!